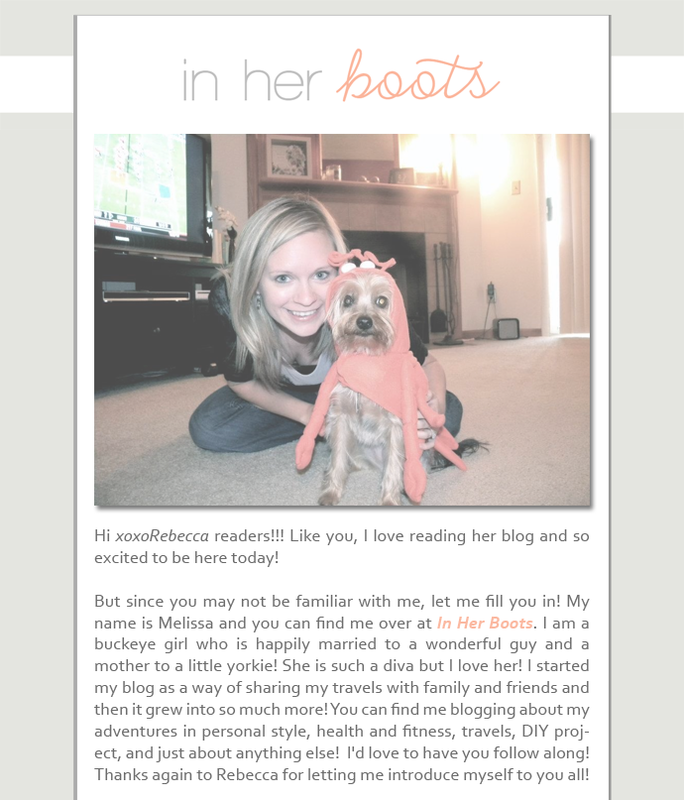 You have got to check out Melissa's cute little blog. I'm totally in love with her simple, yet totally stylish design. She always is posting adorable photos up and lots of them. Who doesn't love a ton of photos? I know I do! I love looking at all her fashion posts as well. So many cute items and they look adorable on her!